A customized route for your own company? You can! for groups of minimum 1 and maximum of 8 participants. for a company of family, friends or colleagues. for specific desires: interest in beer, chocolate, culture, adapted to children, golf, cycling, mills, history, Flanders fields or others. Tell us your wishes and we gladly make a tailor-made route, to let your special trip live your dream! On the page barging as group you will find some more information about this formula. Would you like to book a cabin and meet other people on board? Here you find all tours, which can be booked per cabin. 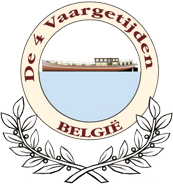 The ship “The 4 Vaargetijden” is specializes in multi-day trips. As a result, day trips are not possible. Fortunately there are enough ships on all channels and rivers, which are precisely designed for day trips in small or larger groups or even individually. A good source of information is this start page. If the water virus virus struck you, you are always welcome for a true barge cruise holiday with us!